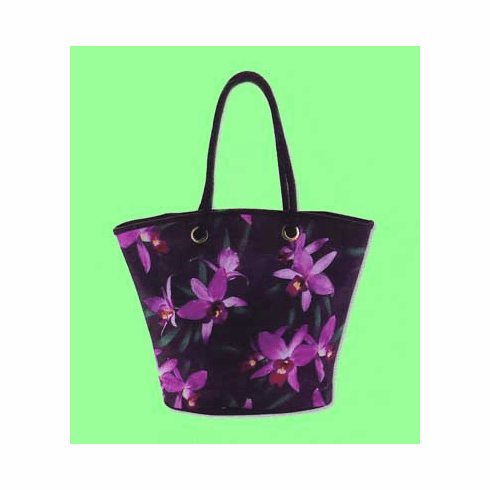 Orchid Tote - This poly-cotton blend bag is a wonderful statement to your love of orchids. Our Orchid Tote features a woven cotton strap, magnetic closure, fabric lining, complete with inside cellphone pocket, interior wall zip pocket and a multi function pocket. Measures 16-1/2" by 131/2".